A young bull moose climbs a frosted hill near the Colorado River as an intense, short-lived spring snow squall winds down. 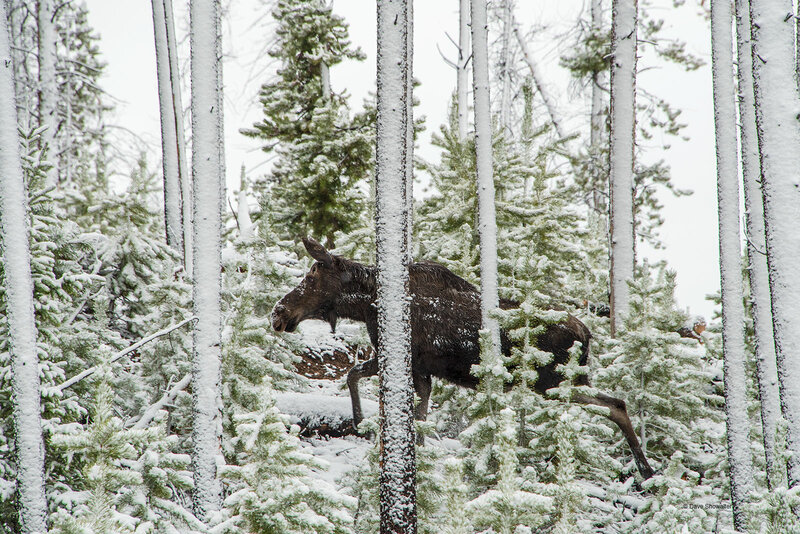 Moose are build for forest, gracefully moving and browsing woody vegetation, including aspen trees. Photo © copyright by Dave Showalter.